Use the contact form below to submit your questions or comments about this website, or your proposed content articles that you would like used in this website. Visitor feedback is always appreciated! If the visitor wishes to send lengthy communications or image files, please let me know via the form below, and I will send you the email address with which to forward your correspondence or attachments. You can be assured that your information will be kept confidential, and that it will never be shared with anyone. 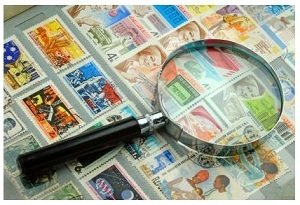 If you submit any stamp collecting questions that may be beneficial to other website visitors, the correspondence may be used in the appropriate FAQ page for that subject. Your contribution will be kept anonymous, unless you request to have it attributed to you. If you should submit any appropriate subject content that may be used in one of the website category pages, your contribution will be kept anonymous, unless you request to have it attributed to you. I attempt to answer all correspondence within a few days of receipt, depending on communication traffic and my personal schedule. Some questions are easier to answer than others are. If your problem requires research, the effort may take a bit longer. Occasional delays do happen, and I wish to apologize in advance for such occurrences. My web provider furnishes all the licenses and site optimization tools that I need. Email offers for such products and services from other firms are NOT NEEDED, and those emails will be DELETED. This website DOES NOT BUY, SELL, OR APPRAISE stamps or stamp collections, and I do not usually respond to contact form emails with such requests. The Selling Stamps category in the Information section of the button-bar has information and external links to buyers that will assist the visitor that is interested in selling their stamps. Any "sales" that originate from this website are either from affiliated advertisers, such as Google, or through external links to other websites.